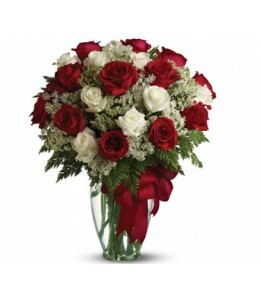 Put these words into flowers with this magnificent arrangement of red roses and white lilies accented with fresh greenery delivered in a classic clear glass vase.Flowers are subject to seasonal availa.. Send this beautiful gift set including a delicious box of chocolates and delightful bear paired with a vase arrangement of light red and pink blooms.Flowers and gift items are subject to seasonal and ..
Love's divine, and roses are too. 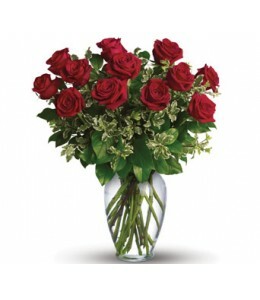 This beautiful vase arrangement of red and white roses is a timeless gift for your beloved.Flowers are subject to seasonal availability. 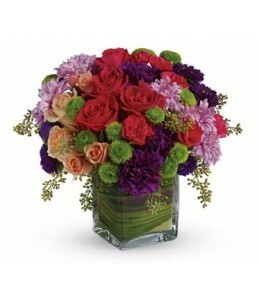 In the event that any of the ..
A chic, stylish twist on classic spring flowers! Peach roses pop against the bright flowers of this modern arrangement, presented in a leaf lined glass cube.Flowers are subject to seasonal availabilit.. 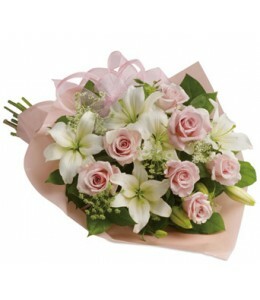 Stunning in its simplicity, this innocent harmony of roses and lilies are a heartfelt way to send your very best.Flowers are subject to seasonal availability. 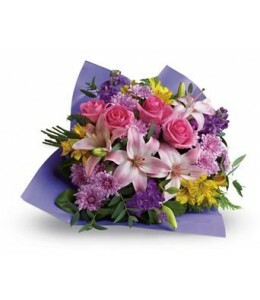 In the event that any of the flowers are ..
Tickle their fancy with this playful mix of yellow daisies, pink carnations and peach roses.Flowers are subject to seasonal availability. 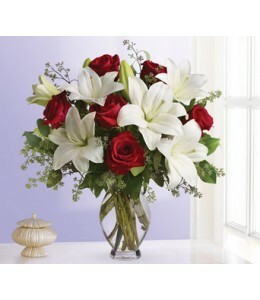 In the event that any of the flowers are unavailable, the flor..